If you had any doubts the Democratic National Committee was biased in the 2016 primary process, this leaked email may quash them. 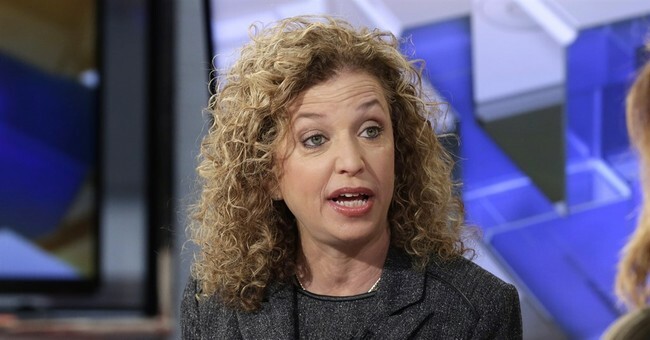 In a newly discovered correspondence between DNC Chairwoman Debbie Wasserman Schultz and her staff, one of the 20,000 emails leaked by Wikileaks earlier on Friday, she calls Bernie Sanders aide Jeff Weaver some nasty names. This heated exchange occurred after the disastrous Nevada Democratic convention in May, where Sanders supporters booed speakers offstage and demanded a recount after Hillary Clinton gained delegates they believe she didn't deserve. Some of his supporters also reportedly threw chairs at the convention and sent death threats to the Nevada State Democratic Party chairwoman Roberta Lange. This behavior is of course reprehensible. Yet, the DNC is supposed to remain neutral in the process. Schultz has been accused of overseeing a "rigged" system that unfairly prevented Sanders from having any chance at the Democratic nomination. Her decisions throughout the primary, such as a limited debate schedule, seemed intended to guarantee Hillary Clinton would become their party's nominee. In a separate leaked email, DNC staffers were caught questioning Sanders' faith. Hillary Clinton is hoping to attract Sanders fans to her base. Good luck with that.